Kolt Communications combines smart strategies, great creative and strong media relationships that help our clients achieve outstanding results. Kolt Communications has nearly a century of combined award winning public relations experience that builds a positive public image, adds power and value and makes individuals and organizations successful. Kolt Communications combines smart strategies, great creative and strong media relationships that help our clients achieve outstanding results. Kolt Communications has nearly a century of combined award winning public relations experience that builds a positive public image, adds power and value and makes individuals and organizations successful. Kolt Communications designs advertising campaigns and strategies that cut through the clutter and deliver your company’s message with strength and creativity. Our advertising success is based on the firm’s many years of communication expertise in helping our clients achieve their goals. 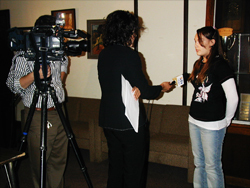 Kolt Communication’s all-inclusive media coaching program is designed to help executives, corporate communicators, organization spokespeople, non-profit leaders and others communicate effectively to the public through the media. Media coaching sessions are led by Chief Executive Officer Robert Kolt, a veteran of the media, public relations and communications industries. 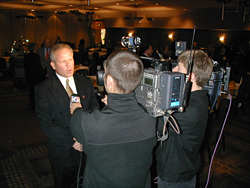 Kolt Communications has designed a state-of-the-art media coaching facility at our offices located a 2104 Jolly Road, Suite 200, in Okemos, Michigan. Media coaching sessions can be tailored to meet your organization’s specific needs and can be conducted at any office or facility. Kolt Communications provides fundraising counsel and strategic planning to charitable organizations involved in capital fundraising campaigns, or non-profit organizations that need to write grant applications. 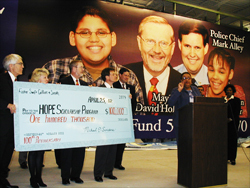 Kolt Communications has been involved in many successful fundraising campaigns, providing media support that has enhanced the visibility and credibility of fundraising efforts.